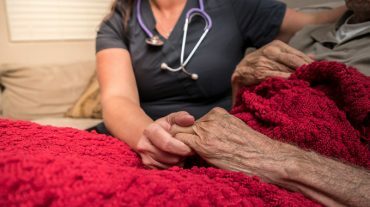 Occupational Therapy is a profession that concentrates on enabling people to carry out the things that they want to do, or need to do, in their lives. Assessing cognitive ability and physical functioning level, as well as identifying methods of engagement pertinent to the individual, is an essential element of clinicians planning and providing effective care provision. Snoezelen Multi-Sensory Environments (also known as ‘sensory rooms’) provide a unique interactive space which offers the user a range of tactile, visual, scented, and interactive activities to engage with. Many can be easily graded to provide appropriate activities for a range of sensory, cognitive, fine motor and gross motor skill levels. Clinicians can use this equipment to conduct non-standardized assessments of the clients’ ability to engage or use these activities, identifying need and to determine suitable interventions. The equipment can be used to engage clients in simple, focused activity to avoid sensory overload, for example, trying to improve and increase levels of attention, concentration and ability to orientate to a task (such as turning everything off in a sensory space except for one piece of equipment and facilitating them to watch something). More complex activities might be learning sequencing of an Activity of Daily Living, or perhaps from a mental health perspective, using guided relaxation to calm and soothe in a safe place, or to learn new coping strategies and self-management techniques. The activities can be graded up or graded down according to need. 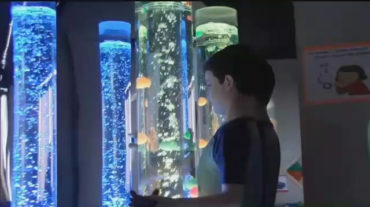 For example, if a client is mildly visually impaired and enjoys tactile input and a particular color, but a therapeutic goal is to work on improving the range of motion on an upper limb or fine motor skills, one might consider selecting a ball bubble tube with large colored balls that float gently up and down so the client can see the movement. The activity could be to get them to touch the ball tube, set to their favorite color and then ask them to reach and touch (maybe count) the balls as they float upwards or downwards. A client may perhaps have a difficulty with a certain noise that causes them anxiety – perhaps a hair dryer or the sound of an engine. If the client enjoys a particular activity in the Snoezelen Multi-Sensory Environment such as interacting with a wall panel, one might consider playing the noise very quietly in the background and carefully, over time turn this up louder and louder while they are occupied with the other activity – with the aim, ultimately, of helping someone get used to the sound in a safe environment. If working in pediatrics, if a client likes a certain toy, and you are trying to encourage them to use fine motor skills, this object could be partially “hidden” under fiber optics and more or less strands used to make “finding” it easier or more difficult. To encourage vocalization or movement one might use a sound responsive piece of equipment and encourage clients to jump, clap or play a musical instrument to get a light or sound reward. 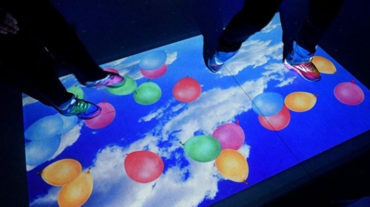 One might use an interactive floor projection with personalized uploaded pictures of a favorite toy or object for cognitive purposes – to prompt conversation, memory recall for example. You may use this equipment to encourage fine or gross motor movements as part of a physical therapy goal. One can use small hand movements, holding a bat, to break colored light beams (cylindrical grip) or use upper or lower gross motor movements to break the beams to play a favorite tune or play video. In conclusion, a Snoezelen multi sensory room can be adapted and used in a variety of ways to meet physical, sensory and cognitive needs.